Thank you for submitting your item for appraisal. This appears to be the iconic photo from 1966 by Neil Leifer, a scene from George Chuvalo’s fight vs. Muhammad Ali at Maple Leaf, bearing an autograph by Muhamad Ali. The photo is most likely printed later, and the same applies for the signature. 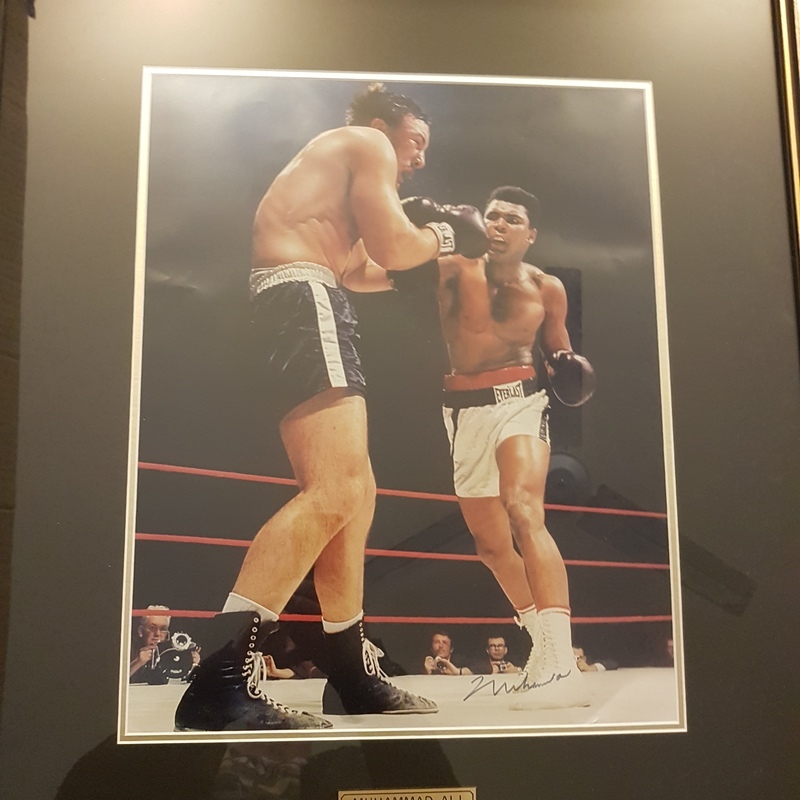 Ali signed lots of photos in his later years and this supply is currently on the auction market. Two other identical photos failed to sell for 1500 USD at auction some years ago. The estimate is based on photos sold at auction. "Asking prices" in the trade and at charity auctions are higher and can vary.